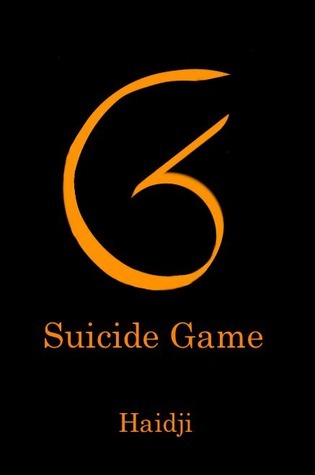 Suicide Game, a first novel by the mononymous Haidji, is an oil and water mixture of intriguing concepts, impressive visual sensibilities, and, at least in the English version, a crying need for a professional, native-English-speaking editor. The core element here is the Suicide Game itself, a privately run enterprise that takes in 8,000 contestants and produces a single winner, in a more or less contemporary setting. It does put one in mind of the scene in Glengarry Glen Ross when Blake, a bully sent to incentivize the sales staff at a real estate firm, says to them, “As you all know, first prize is a Cadillac Eldorado. Anybody wanna see second prize? Second prize’s a set of steak knives. Third prize is you’re fired.” It might read here “First prize, fame and fortune, with treasures beyond your imagining. Second prize, you die.” In The Hunger Games participants were selected by lottery. In Suicide Game, it is voluntary. One might wonder who in their right mind would willingly participate in such a travesty. Haidji has put together an ensemble cast. There are game participants, with contemporary and back-story people connected to each, the council that runs the whole thing, the arena designer, and a smattering of game employees. No one character occupies enough time to be considered primary. Oh, and add in a terrorist. One can take this as a straight ahead story about a social abomination, and the individual tales that feed it, or take it as a metaphor for existing sociological madness. Choose the former and you may find yourself leaping into an abyss. In addition to an excess of telling over showing, there are elements there that hint at an eagerness to gloss over problematic details. It is as if the entire world existed in a Judy Garland/Mickey Rooney film in which the neighborhood kids decide, “Let’s put on a play,” and magically a stage, set, costumes, script and time for rehearsal all appear as if out of nowhere. Just think it and it is so. For example, the management of the stadium decides to make a radical change in their food service, and it is changed during a break in the game action. Modifications to significant stage elements of the stadium are likewise implemented as if by divine command. A significant computer programming re-working is done in, it seems, nanoseconds. With over twenty years as a programmer, I can say for fracking sure, no bloody way. The romantic relationships also seemed to lack real-world substance. Ok, if, however one takes this as a piece of social commentary, it becomes possible to look past the story-telling problems and settle in to a consideration of larger issues. One can look at the heartless exploitation of the participants by corporate entities, and not have to look too far to find contemporary equivalents. In the US, how the NFL treats players is pretty close to amoral disinterest in the well-being of the workers who create the value they are selling. I am sure there are plenty of equivalents in other sports. The entertainment industry offers many examples of people willingly putting themselves, their reputations, and maybe their health, if not their lives, at risk in order to gain their fifteen minutes in the media spotlight. The Suicide Game might be seen as an exaggeration of that reality to make a point. I do not think that major sports organizations descended to a level of exploitation where they process, package and sell bits of loser contestants. But would you really put that past the NFL, or our major networks? One element in all this is the dehumanization of the contestants by putting them all in the same uniform and having makeup artists remove remnant individuality from their faces. This surely speaks to the depersonalization inherent in much of mass media. Outside of committed fans, can you really tell who is wearing a particular football uniform on a given Sunday? Just as players are largely a production factor for corporate owners, parts that can be replaced as needed when they wear out, the suicide game takes the notion to an extreme, and succeeds in making a point. My biggest gripe about the book is that the English is in need of serious repair. Haidji speaks English. We were pals on GR for a while (until this review was posted) and have exchanged our share of messages, so I can attest that her English is pretty good. But I cannot say whether this book was written in another language (she speaks several) and translated or was written directly in English. In either case, it is in great need of an editor whose native tongue is English. There are many instances in which it is possible to ferret out what the author meant, when the words used did not do that job well enough. Turns of phrase are sometimes simply wrong. Readers are expected to read between the lines for thematic or psychological reasons, but should not have to do so in order to simply correct the text. That said, it is a readable book. Just be aware that you may have to do some extra work to figure out what is being said. If one can get beyond the language shortcomings, there is fair bit of interesting material tucked into the story. Haidji concocts an umbrella made of air alone that is pretty cool. The notion of making diamonds of the unexpected material cited here is a real thing. The stadium design has some elements that are quite fascinating. Her governing Suicide Game council applies a very unusual voting methodology. A court case involving Big Oil is also reality-based. An early scene involving a terrorist and 9/11 was one of the strongest elements in the story. On the other hand, use is made of a drug referred to as “milk of amnesia.” Such a drug does exist. I have been a personal beneficiary on multiple occasions. (Yes, it is legal, wiseass, and is used in medical work) But it does not act in the real world as it is shown to act here. There are some mysteries in here as well that add texture. Who is actually in charge of the whole thing? How did a baby get loose in the stadium? Will the smitten connect with the actual objects of their…um…smit? Will everyone be blown to bits? It is also clear that Haidji has a strong sense of the visual. Color and texture offer a strongly defined background against which the characters do their things. The game logo is wonderful. Candidates are in white face, dressed in shiny black, made up to betray no emotion. The logo is painted in orange. That hare krishnas are in attendance enhances the presence of that color. Ushers who clean up the bodies are dressed in gray. Makeup artists at the game wear matte black, and the game Hostess wears a red femme fatale dress. Designer names for clothing and footwear are rampant, which certainly does not speak to me. I had to look up far too many of these. But readers with more fashion knowledge (pretty much everyone) will have a better shot at appreciating the references. There are problems for sure with Suicide Game. It really, really needs the assistance of a professional, native-English-speaker editor. There are issues with an overly simplified view of how relationships might progress and even how things work in the world. But if you can make a leap of faith to look past these, there are rewards to be had in the many fascinating notions that live in that world with them. You might enjoy Suicide Game, and without having to pay the ultimate price. For centuries the ruling class had run the city like their private bank. They’d lent the council sums they then repaid themselves at crushing rates of interest. These bonds they then bequeathed to their own spawn, in perpetuity. Thus was the city fated to insolvency, like half of the free cities of the Reich. Each time the treasury was bare, Archbishop Dietrich would step in, prop up that rotting edifice, enact some other tax that only workingmen and merchants had to bear. I have two gripes with the book, neither of them major. I appreciate Christie hewing to history in her re-telling of how the great book came to be, but I did not find the steps forward to Peter’s telling the tale to a monk altogether necessary. 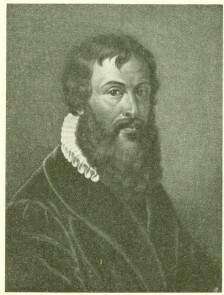 Second, one thing you should know about Gutenberg’s Apprentice is that, as informative and satisfying as it is, it is a slow read. At least it was for me. You are unlikely to be taking this one to the beach to while away a few hours. But if you settle in for a longer spell, you will be richly rewarded. 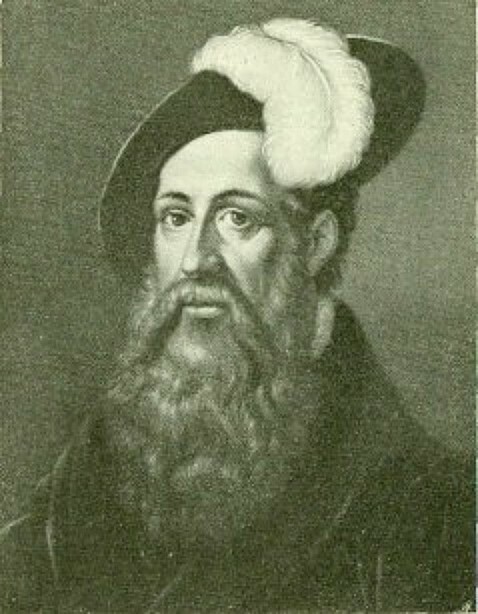 Gutenberg’s Apprentice may not be the first book you have ever read, but it will definitely leave a lasting impression. A nice video on the press. Ignore the word kids on the site. This is accessible and interesting, even if the documentary video cadged music from John Adams and is a bit amateurish. Point a camera at something, you change it. Change is definitely in the air in the summer of 1928. With the release of The Jazz Singer in 1927 the Grand brothers, silent-film director Micah, and his cameraman, partner and brother Izzy, might be feeling a bit of heat from the new kid on the block, the talkie. Their producer certainly is. Mired in debt and fearing for the future of his group’s stock in trade, he wants Micah and Iz to secure another foundation for their company. When he proposes that they go to Africa to create stock footage for sale to other companies, they are reluctant. But Micah has a bit of a problem with gambling, and really, really needs the money such a grand tour might generate. They do not get to Africa until about a hundred pages in, so there is a lot of local color to absorb. Historical figures, whether by reference or named overtly, are a large presence here. Babe Ruth pops by for a cameo in a film they are shooting in Coney Island. There are gangster sorts that seem lifted from the pages of Damon Runyon or Elmore Leonard. At least a few, such as Bumpy Johnson, and Stephanie St. Clair, are fictionalized versions of historical NYC baddies. The brothers’ leading man, Henry Till, is an avatar of silent film comedy star Harold Lloyd, complete with signature eyeglasses, and damaged hand. Conn’s love for cinema shines through. O, Africa is a celebration of film-making and the characters involved, and includes a look at the first Oscars night. And while the characters may not always be the purest of the pure, they are certainly colorful. Micah, although married and a father, is a committed philanderer. But he is most heavily involved with a light-skinned black woman, Rose. Iz has complications of his own. He is so closeted that he makes his first appearance in O, Africa in a box. A dwarfs wrestles well beyond his stature, and a gangster has that most Hollywood of things to offer, a screenplay. There is range in Conn’s tonality. There is a light touch in looking at the brothers’ lives in the beginning, but events take place that call for a much more serious approach, and the lightness floats away. Conn’s content (Conntent?) is considerable. He looks at a slew of minorities. Conn’s 1920s gangsters (with the trailing “er” intact) do not fit the usual image we have of tommy-gun-toting bank robbers and Prohibition-fueled thieves, killers and smugglers. These mobsters are black. He includes a dwarf director, a mixed race relationship and an adult gay virgin. There is some powerful imagery. A dump site near the African village is particularly poignant. Subtlety does not always rule, however, as we are treated to a bludgeoning when it comes to interpreting a nightly film showing. Sometimes, it seems that the author is trying too hard to sound substantive, and it comes across as stretching rather than insight. …heading west is an instinct, too. It has to do with mortality, catching the last light before it slips beyond the horizon. Such an impulse is as likely related to fleeing one’s creditors. Conn’s eyes must need a rest after all the winking to the reader he does regarding references to future events. King Kong, black exploitation films, Slouching Toward Bethlehem, Where’s Waldo, Cheech and Chong and the crash of 1929 jumped out at me. There are doubtless many others. I found these to be distancing. Occasionally, a bit of fact-checking or at least explanation seemed in order. An African village is reported to have a considerable number of bison horns on display. There are no bison in Africa. Ditto a reference to a local lemur. Lemurs exist in nature only in Madagascar and not on the African mainland. So, what to make of all this? It is pretty clear that the author has put in a considerable amount of work to create O, Africa. There is much to enjoy in this book, and a fair bit to learn. Conn offers a Kavalier and Klay-like portrait of an early time in a particular art-form and in an era that is interesting, lively and enjoyable. But the literary legerdemain on display here, like that which is often displayed on screens large and small, did not succeed in creating that necessary reader-character magical bond for me. There were moments, for sure, when this or that character seemed to breathe an actual breath, but I never felt truly engaged for more than a spurt here and there. O, Africa is definitely worth a few hours of your time, as long as you are looking for more of an intellectually than emotionally satisfying read. I received a copy of O, Africa! from Blogging for Books in return for an honest review.